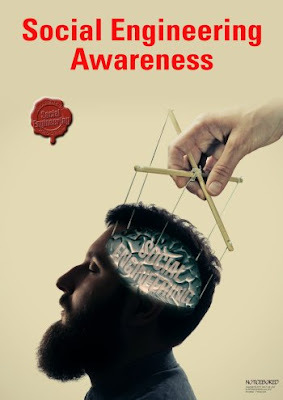 Security awareness involves persuading, influencing and you could say manipulating people to behave differently ... and so does social engineering. So could social engineering techniques be used for security awareness purposes? The answer is a resounding yes - in fact we already do, in all sorts of ways. Take the security policies and procedures, for instance: they inform and direct people to do our bidding. We even include process controls and compliance checks to make sure things go to plan. This is manipulative. Obviously the motivations, objectives and outcomes differ, but social engineering methods can be used ethically, beneficially and productively to achieve awareness. Exploring that idea even reveals some novel approaches that might just work, and some that are probably best avoided or reversed. ‘Train-the-trainer’! Develop and support a cadre of security friends/ambassadors. Gain their trust and favor. Involve them proactively. Fast/full-frontal/noisy or slow/gradual attrition/blind-side/silent attacks, or both! Pre-planned & engineered, or opportunistic attacks (carpe diem), or both!